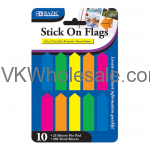 We carry different kinds of back to School Supplies for dollar stores. These back to school supplies are sold throughout the year, especially more profitable before school starts. 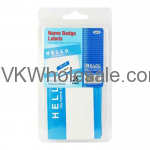 Order school supplies wholesale. 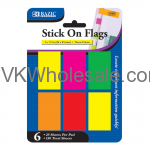 Minimum quantity for "25 ct. 0.5" x 1.7" Neon Color Arrow Flags (10/Pack)" is 24. 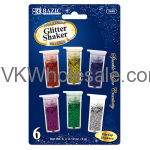 4 Primary Color Glitter Shaker 8g / 0.28 Oz. Minimum quantity for "4 Primary Color Glitter Shaker 8g / 0.28 Oz." is 12. 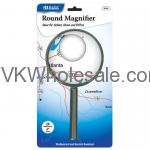 Minimum quantity for "4" Round 2X Handheld Magnifier" is 12. 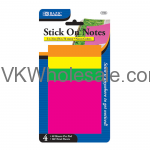 Minimum quantity for "40 ct. 3" x 3" Neon Stick On Notes (4/Pack)" is 24. 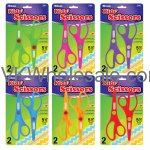 Minimum quantity for "5 1/2" Fluorescent Kids' Safety Scissors 2/PK" is 24. 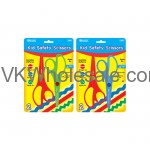 Minimum quantity for "5 1/2" Kid's Safety Scissors (2/Pack)" is 24. 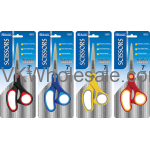 Minimum quantity for "5" School Scissors 1PK" is 24. 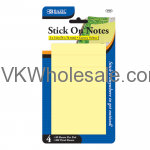 Minimum quantity for "50 ct. 3" x 3" Yellow Stick On Note (4/Pack)" is 24. 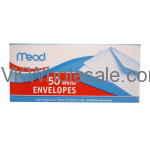 Minimum quantity for "50 White Envelopes" is 12. 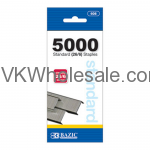 Minimum quantity for "5000 ct. Standard (26/6) Staples" is 24. 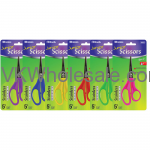 Minimum quantity for "7" Soft Grip Stainless Steel Scissors 1 PK" is 24. 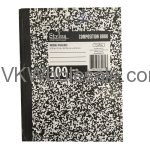 Minimum quantity for "70 ct. 1 Subject Spiral Notebook" is 24. 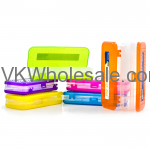 Minimum quantity for "8" Bright Color Double Deck Organizer Box" is 24. 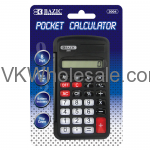 Minimum quantity for "8-Digit Pocket Size Calculator with Neck String" is 24. 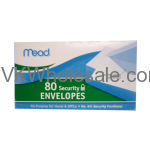 Minimum quantity for "80 Security Envelopes" is 12. 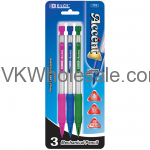 Minimum quantity for "Accent 0.5 mm Triangle Mechanical Pencil with Grip (3/Pack)" is 24. 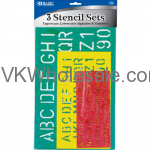 Minimum quantity for "Assorted Color Chisel Tip Desk Style Permanent Markers (3/Pack)" is 24. 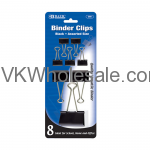 Minimum quantity for "Assorted Size Black Binder Clip (8/Pack)" is 12. 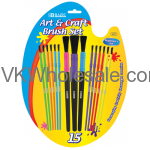 Minimum quantity for "Assorted Size Kids Water Color Paint Brush Set (15/Pack)" is 24. 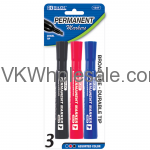 Minimum quantity for "Black Chisel Tip Desk Style Permanent Markers (3/Pack)" is 24. 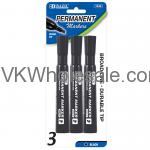 Minimum quantity for "Black Fine Tip Dry-Erase Markers (4/Pack)" is 24. 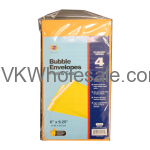 Minimum quantity for "Bubble Envelopes 2ct" is 12. 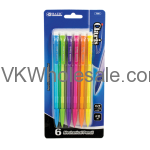 Minimum quantity for "Claris 0.7mm Mechanical Pencil (6/Pack)" is 24. 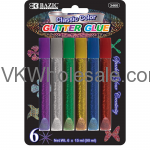 Minimum quantity for "Classic Glitter Glue Pen (6/pack) 15 ml" is 24. 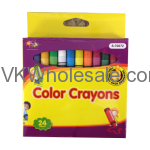 Minimum quantity for "Color Crayons 24 PCS" is 24. 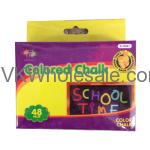 Minimum quantity for "Colored Chalk 48 PCS" is 12. 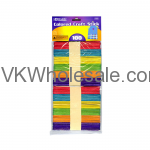 Minimum quantity for "Colored Craft Sticks (100/Pack)" is 24. 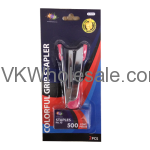 Minimum quantity for "Colorful Grip Staplers 2 PCS" is 12. 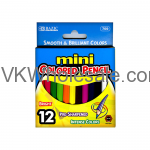 Minimum quantity for "Composition Books 1 PC" is 12. Minimum quantity for "Correction Fluid W/Foam Brush 20ml 0.7 floz 2 PK" is 24. 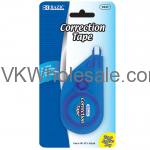 Minimum quantity for "Correction Tape 5 mm x 6 M 1 PK" is 12. 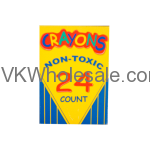 Minimum quantity for "Crayon 24ct" is 24. 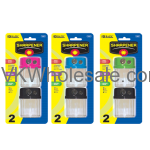 Minimum quantity for "Dual Blades Sharpener with Round Receptacle (2/Pack)" is 12. 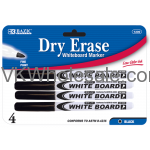 Minimum quantity for "Eraser Set 4 PCS" is 12. 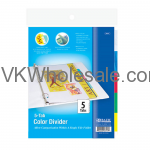 Minimum quantity for "Filler Paper C/R 100 Sheets" is 6. Minimum quantity for "I Love Chicago Ball Point Pens 48 CT" is 1. Minimum quantity for "Jumbo (50 mm.) 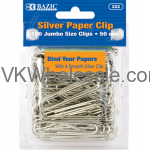 Silver Paper Clip (100/Pack)" is 24. 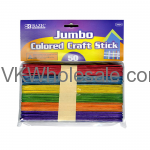 Minimum quantity for "Jumbo Colored Craft Stick (50/Pack)" is 24. Jumbo Glue Stick (2/Pack) 36 g. / 1.27 oz. 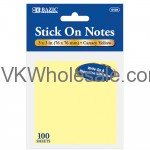 Minimum quantity for "Jumbo Glue Stick (2/Pack) 36 g. / 1.27 oz." is 12. 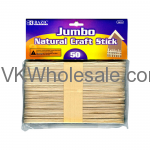 Minimum quantity for "Jumbo Natural Craft Stick (50/Pack)" is 24. 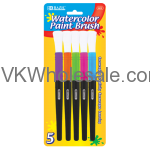 Minimum quantity for "Jumbo Watercolor Paint Brush (5/Pack)" is 12. 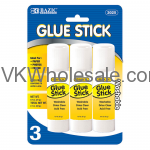 Large Glue Stick (3/Pack) 21 g. / 0.7 oz. 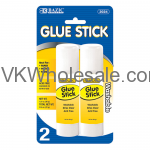 Minimum quantity for "Large Glue Stick (3/Pack) 21 g. / 0.7 oz." is 12. 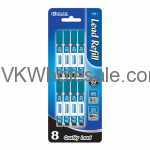 Minimum quantity for "Metal Tip Correction Pen & Correction Fluid (2/Pack)" is 24. 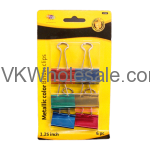 Minimum quantity for "Metallic Color Binder Clips 6ct" is 12. 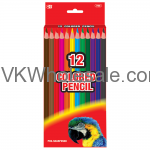 Minimum quantity for "Mini Colored Pencils 12 PC" is 24. 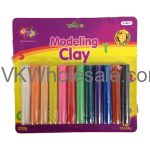 Minimum quantity for "Modeling Clay 12 PCS - 200g" is 12. 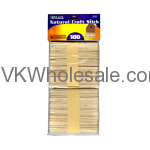 Minimum quantity for "Natural Craft Sticks (100/Pack)" is 24. 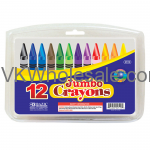 Minimum quantity for "Neon Eraser Sets (12/Pack)" is 24. Minimum quantity for "No. 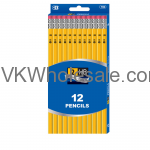 2 Pencils 12ct" is 24. 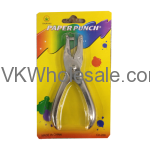 Minimum quantity for "Paper Punch 1 PC" is 12. 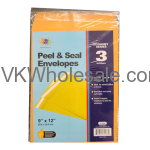 Minimum quantity for "Peel & Seal Envelopes 3ct" is 12. 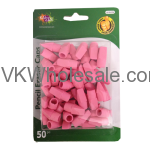 Minimum quantity for "Pencil Eraser Caps 50 PCS" is 12. 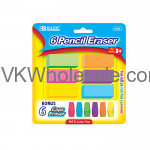 Minimum quantity for "Pink Eraser Top 50 PC 1 PK" is 24. 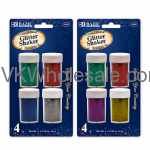 Minimum quantity for "Primary Color Glitter Shaker 3g / 0.10 Oz. 6" is 24. 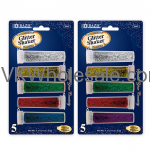 Minimum quantity for "Primary Color Glitter Shaker 6g / 0.10 Oz. 6 PC" is 24.